Are you stuck in a contract dispute? Do you suspect a rival of unfair competition? Are you aware of fraud against the government? Burg Simpson can help! Don’t wait to call the lawyers at Burg Simpson to discuss your legal rights. When you run or work for a business, you follow the law, fulfill your commitments, and expect others to do the same. When this expectation is broken, the results can be disastrous for not only your own financial wellbeing but millions of others as well. The business and commercial law lawyers at Burg Simpson understand the hardships a breach of contract, unfair competition, or other frauds can have on individuals and their families. If you are having a business or commercial law issue contact Burg Simpson’s Cincinnati office as soon as possible to speak with a commercial/ business law attorney so we can help you. Call us right now at 800-318-9815.
Business and commercial law are typically lumped together because they go hand-in-hand so often. The best attorneys familiar with one are trained in the other. Business law, which covers both state and federal statutes, generally encompasses issues such as stocks, investments, workplace safety, employment laws, and the environment. Commercial law is a set of regulations that govern commercial transactions. Business owners are often fiercely independent individuals and would love nothing more than to manage their own business transactions. But when it comes to the complex rules and regulations surrounding commercial and business litigation, even the most experienced business owners need effective legal counsel. Do not put your company at risk by trying to handle your own commercial legal matters. Speak to a corporate attorney in our Ohio office before it is too late at 800-318-9815 so we can help you with your situation. 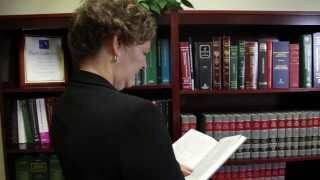 What types of business/commercial law cases does Burg Simpson handle? Legal issues surrounding unfair competition fall under both state and federal law, and cover cases of economic injury to a commercial entity because of deceptive or wrongful business practices by a competitor. This can be applied to any dishonest and/or fraudulent business activity. A commercial litigation attorney in Burg Simpson’s Cincinnati office can help if your business has been hurt because of a competitor’s unfair business practices. Trademark infringement: Trademark infringement is a “violation of trademark terms by another body that encroaches on privileges and rights of the owning body.”(Black’s Law Dictionary). In short, this is what happens when a competitor attempts to pass off their product as yours. Misappropriation of trade secrets: This is what happens when a competitor illegally secures economically advantageous information possessed by someone else. Unauthorized substitution of one brand of goods for another: This is also called “bait and switch,” and is the deceptive sales technique of promoting a product at a low price to lure customers in before telling them that the advertised item isn’t available and that they should buy a pricier product. Use of confidential information by former employee to draw customers to a competitor. False representation of products or services: This includes making any materially misleading facts about a product. Trade libel: This is the dissemination of false information about the quality or characteristics of a company’s products. Tortious interference: When a company attempts to wrongfully interfere with an existing business or contractual relationship between two other parties. If you’ve suffered economic harm because of the deceptive trade practices of a competitor, contact Burg Simpson’s Cincinnati office as soon as possible to speak with a litigation lawyer so we can help you. Call us right now at 800-318-9815. From the Latin for “who as well,” a qui tam action is a suit brought by a private individual against another person or a company who is suspected of defrauding the government or of violating a government rule. These suits fall under the False Claims Act, a federal law that allows the individual to file on behalf of the government in exchange for a monetary reward. This action is more commonly known as whistleblowing. Knowingly making a false claim for payment to the federal government. Knowingly submitting false information to the federal government to get a claim paid. Working with others to submit a fraudulent claim to the federal government for payment. Knowingly submitting false information to conceal, avoid, or circumvent a duty to pay money to the federal government. In addition to federal laws, your state may have its own whistleblower protections in place that require a potential whistleblower to follow specific procedures to qualify for protection. If you have non-public information about a fraud against the government, you need confidential and secure legal help regarding your rights and any potential for compensation. It’s imperative that you speak with an experienced, qualified attorney before you take action and go public. The act of whistleblowing requires an action-oriented mindset, a great deal of patience, and the knowledge and experience of a business litigation lawyer. These suits can quickly turn complicated, requiring a lot of research, organization, and presentation of facts to prove and support the fraud in question against the government. 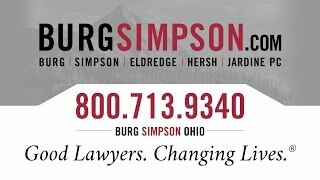 Call Burg Simpson’s law offices in Cincinnati Ohio, at 800-318-9815 and speak with our attorneys today. When you choose to invest your money in a company or choose an investment firm, you expect that the business will be honest, honor its promises, and provide full disclosure. When those expectations are broken, you and the many others who trusted that company can lose hard earned money. When this happens you need an attorney to help hold these companies responsible for their misrepresentations, non-disclosures, and other security frauds. Burg Simpson has experience pursuing these types of investment frauds. Call the commercial litigation attorneys at Burg Simpson’s law offices in Cincinnati, Ohio, at 800-318-9815 and speak with an attorney today. Burg Simpson has a reputation for standing up for individual’s rights and across the country. With seven offices in six states and more than 60 attorneys, Burg Simpson has the resources to fight against the biggest corporations in the United States. The commercial litigation lawyers in Burg Simpson’s Cincinnati, Ohio office are part of Burg Simpson’s dynamic team serving the people and businesses of Ohio, Kentucky, and the nation. The lawyers in Burg Simpson’s Cincinnati office have experience in successfully handling a variety of both business and commercial law cases. Call the attorneys in Burg Simpson’s Cincinnati, Ohio office today at 800-318-9815 so we can discuss your case with you.